Baylor is the first Big 12 team to begin Spring practice. It was a pretty dull day in Waco by the look of it and the weather forecast for this week is for drizzling rains and single digit temperatures. 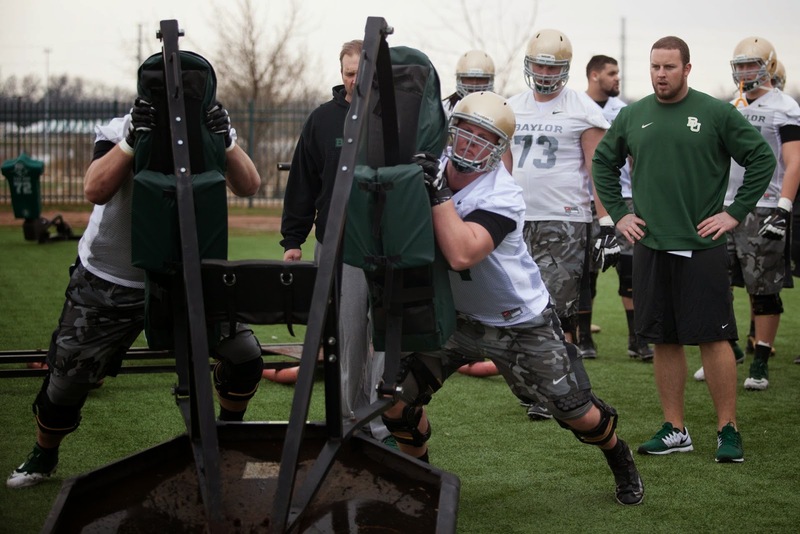 Whilst there is always a lot of media attention and fanfare for the beginning of spring practice, ultimately its business as usual for an established program like Baylor. There will be a myriad of reports and articles over the next few weeks, I'll try to condense relevant information as best as possible; most readers already view the usual outlets. Blake is in his 5th and final spring practice. Sean, his 2nd. The pic below you'll see them wearing some camouflage shorts; these have been a feature of this new semester. Courtesy of Sic'emSports.com go and check out their site and consider joining up for inside information on the Baylor program. The testing period for Baylor is over. Blake PR'd his broad jump at 9'3" 1/2 feet and also his 3 cone drill. The broad jump result would be good enough for 6th at this year's NFL combine out of 51 attendees. The NFL Combine is on right now and the OL are doing their testing today. one week till Spring practice starts. The Baylor offensive line got a nice shout out from the ESPN Big 12 Blog, rating Baylor as the #1 unit in the conference. This is almost certainly due to the fact that 5 starters are returning; regardless however, the unit will be excellent just based on talent. Sean has also PR'd his shuttle and vertical leap last Friday for his time at Baylor. another PR in the shuttle and this time the vertical leap for Blake on Friday. The semester is flying by, in 3 months the boys will be wrapping up their spring semester. Spring ball is just a few weeks away. 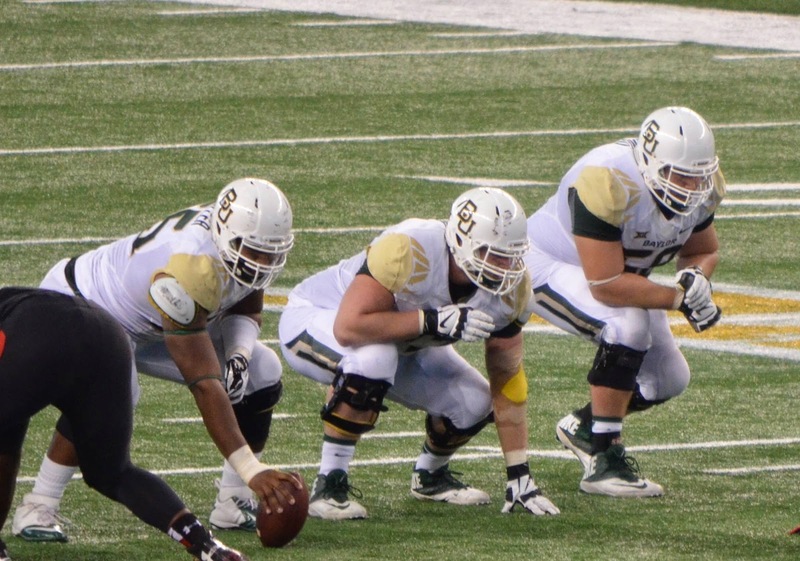 Superbowl today, and it rests amongst the winter training part of the year for the Baylor Football program. Each friday is spent testing a few of the various traditional football battery of tests. Blake is weighing around 305lb and although he's not sure what his actual result was, he thinks he PR'd his shuttle time on friday. At Hawaii, Blake set program records for offensive linemen in the shuttle, clean and vertical leap. His name is on he wall of the weight room. His shuttle in particular has always been very good due to his mobility. Times in the 4.4 second range are common for him and represent what would be top 5 results at the NFL combine.